Sacerdotus: What do you think of Pope Francis? Pope Francis has been Pontiff for about 3 weeks already and the media has practically forgotten Benedict XVI. They seem to like Pope Francis' focus on social justice. However, some Catholics are worried that Pope Francis is not taking the Petrine ministry too serious. 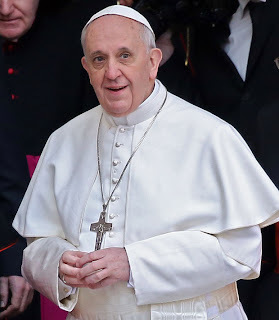 They cite his lack of use of Papal regalia, his reluctance to be called Pope, and the setting aside of rubrics and protocol. The Jesuits are known to have had issues with the Vatican. Some believe the order has been hijacked by liberalism. In light of this, what do you think of Pope Francis? Is he good for the Church or will he undo what his predecessors have done - restore tradition.